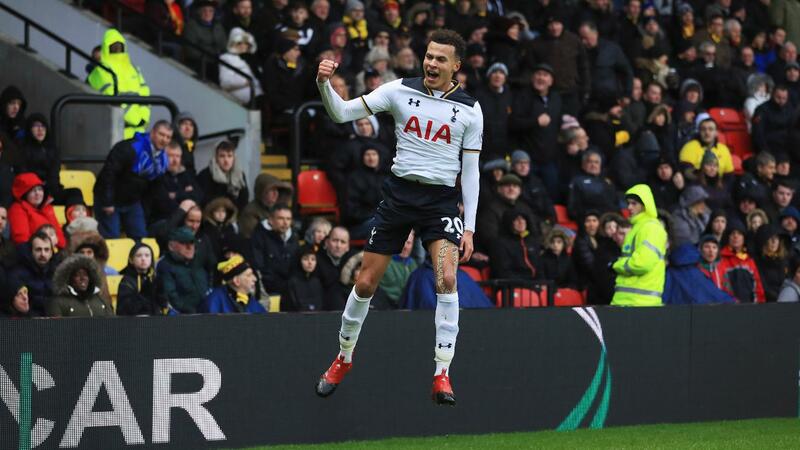 Harry Kane’s (£11.0m) first-half brace earned him the maximum Fantasy Premier League bonus points as Tottenham Hotspur eased to a 4-1 victory over Watford. The England forward recorded 76 in the Bonus Points System, second only to Burnley's Andre Gray (£6.1m), with 78, in Gameweek 19. Kane produced three key passes in addition to his two goals, one of which was converted by Dele Alli (£8.3m) to earn the striker an assist. Kieran Trippier (£4.7m) collected two bonus points in his first Premier League start of the season, with a BPS score of 43. Drafted in for the suspended Kyle Walker (£6.1m), Trippier provided two key passes, both converted by Kane for assists. The right-back also made 13 recoveries, more than any other player in the Vicarage Road contest. Alli claimed the final bonus point on offer. The midfielder matched Kane in scoring two goals against the Hornets, although his BPS tally of 37 was dented as he was tackled on four occasions. Kane has now scored eight goals in nine appearances since returning from injury in Gameweek 11. Following a run of three successive blanks from Gameweek 15, the striker was sold on by more than 250,000 FPL managers. Despite his 16-point return, Kane again lost ownership before the Gameweek 20 deadline, suffering more than 53,000 transfers out ahead of a home clash with Chelsea. In contrast, Alli's ownership is blossoming. He's been signed by more than 113,000 managers as the fourth most popular transfer target ahead of Gameweek 20. Five goals in the last three Gameweeks have elevated him to 100 points and joint-fifth spot, alongside team-mate Christian Eriksen (£8.6m), in the overall midfielder standings.